When Brown Deer, Wisconsin, became majority minority, some white families fled. Can it convince the rest to stay? Suburban districts are getting browner. Will the white families stay? 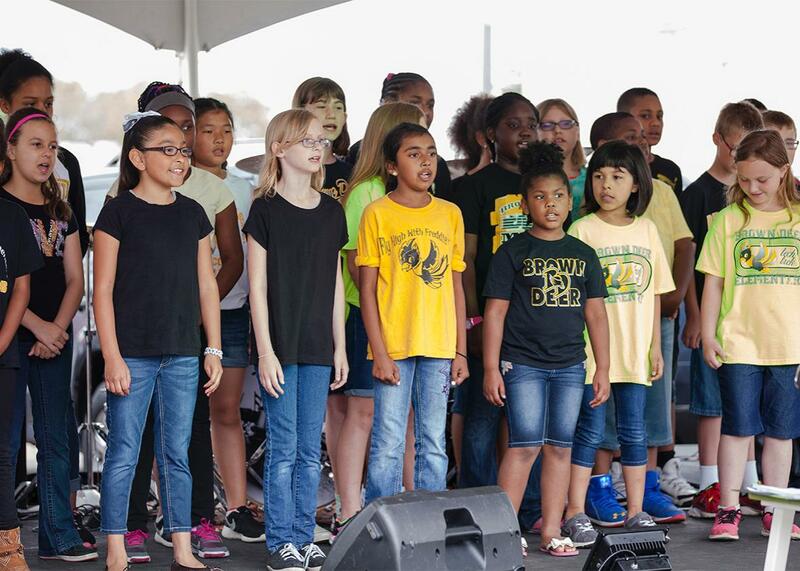 The elementary school choir performs onstage at a festival on Saturday in Brown Deer, Wisconsin. BROWN DEER, Wisconsin—When Jean and Bob Wells bought their first home 12 years ago, they had three priorities: affordability, someplace not too far north of Milwaukee, and a racially diverse school district for their two young kids. 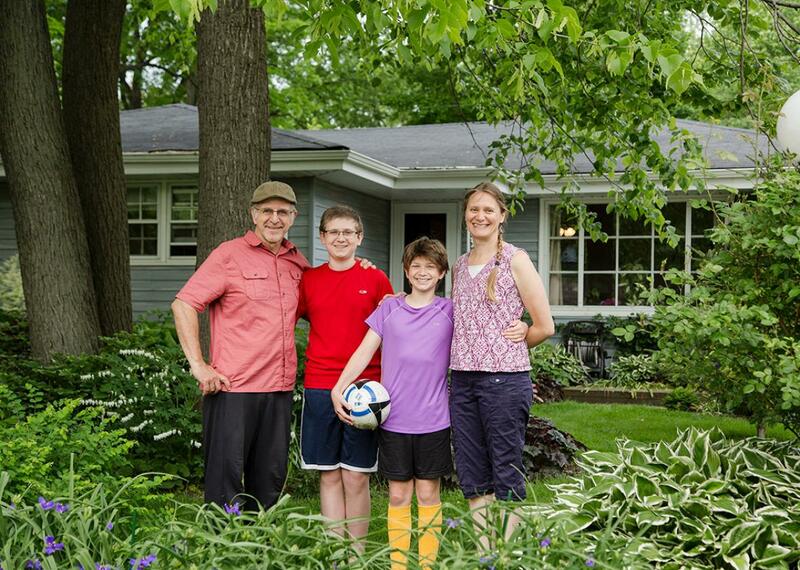 The Wellses, who are white, found all three in Brown Deer, a Milwaukee suburb that’s known for its small starter homes and mix of black and white families—a welcome contrast to the deeply segregated city next door. “I really think people move here because of the racial diversity,” Jean Wells says. Like a growing number of systems across the country, particularly suburban ones, the School District of Brown Deer became majority minority over the past decade, with black students outnumbering whites for the first time in 2008. Across the country, the percentage of districts that enroll more than 50 percent children of color doubled between 1990 and 2013. Now, a looming question for these districts is whether white and middle-class families will stay or decamp for private schools or other, wealthier suburbs. In the case of Brown Deer, an exodus of white and middle-class residents could leave the town with schools just as racially and socioeconomically segregated as Milwaukee’s. And that would be crippling. Because of the persistence of racism in America, overwhelmingly minority districts are more likely to receive fewer resources, suffer from lower expectations, and confront more concentrated poverty among students. And all students, particularly low-income ones, can benefit from diversity. The percentage of white and middle-class students continues to inch down in Brown Deer, according to state figures: This year, slightly less than 29 percent of the district’s students are white, compared with 30 percent in 2013 and 32 percent in 2011. At the middle/high school building (which goes from seventh through 12th grade), the white population slipped to 26 percent this school year, down from 27 percent in 2013. 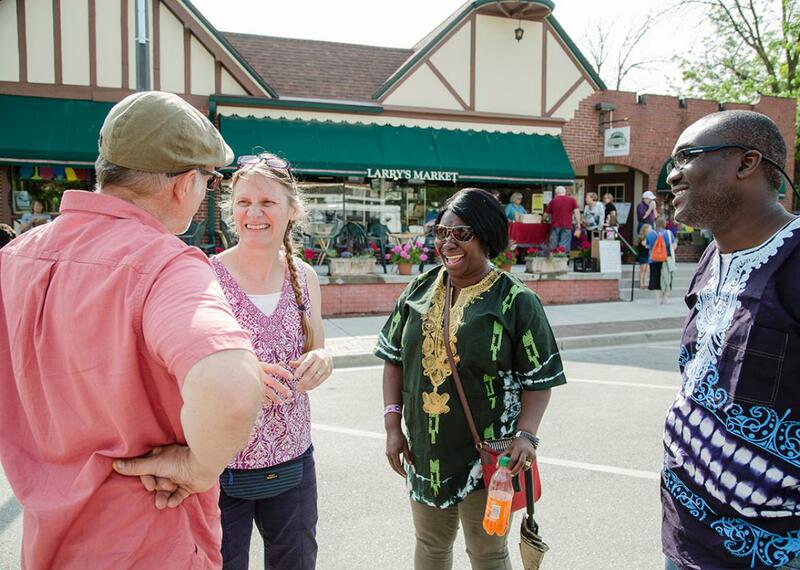 So if you wish to divine how a more diverse, more integrated America might look in the 21st century, Brown Deer, population 12,000, offers hopeful signs—and some cause for wariness. It is a tiny microcosm of a country in which many suburbs have grown more populous and browner, gentrifying city neighborhoods have become whiter and more affluent, and communities of all types struggle to stay integrated for an extended period of time. The next 10 years will be telling. Even the Wellses, who love Brown Deer’s mix of backgrounds, sometimes wonder whether their children would find a more challenging academic environment in another school district. Now, the Brown Deer school district is on a mission to preserve that diversity, largely by convincing families of every culture and background that there’s a home for them in Brown Deer. One key question is whether a slowly shrinking pool of white families will stay. The first black students arrived in Brown Deer decades ago. In the 1970s, Wisconsin created a voluntary school desegregation program known as Chapter 220, which provided free transportation for black children to attend suburban districts like Brown Deer and for white children to attend Milwaukee Public Schools. Larry Kornblum, 58, moved with his family to Brown Deer as a second-grader half a century ago. The desegregation program had begun by the time he graduated from high school; Kornblum says the lone 220 student in his senior year class “had a hard time adjusting.” By the time his sons started at Brown Deer schools in the 1980s and ’90s, the district was far more diverse. “They were shown all different cultures—a lot more than I ever was,” Kornblum says. The Chapter 220 program helped fuel the growth of the black population in Brown Deer schools. But over time, the town also became a destination for middle-class black families. Today, the town has a rich diversity of socioeconomic statuses that cuts across racial and ethnic lines. For now, Brown Deer is the only Milwaukee suburb where white students do not constitute a majority of the public school population—something not lost on its peers in whiter neighboring districts, some of whom have subjected Brown Deer’s students to racist taunts at athletic games and other events. 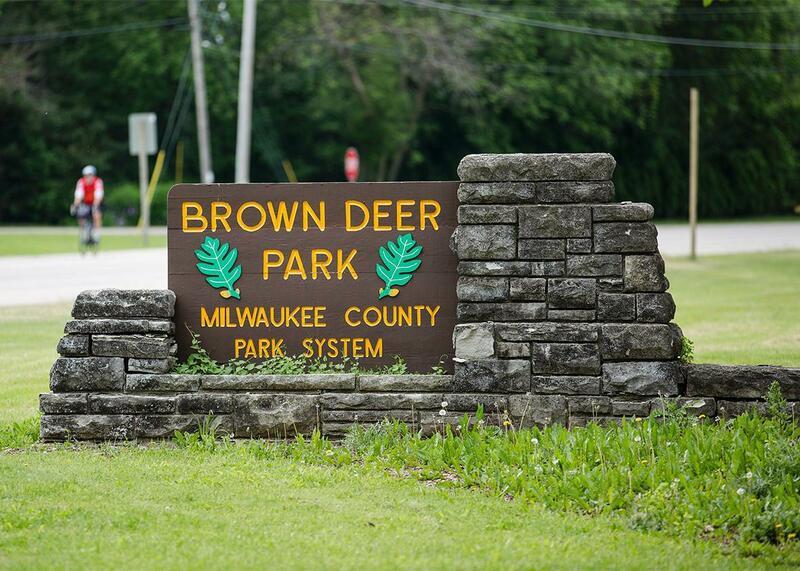 Brown Deer, like many inner-ring suburbs, is sandwiched between one of the state’s most impoverished places, Milwaukee, and one of its wealthiest: the suburb of Mequon. For the most part, Brown Deer splits the difference. Its schools perform significantly better than Milwaukee’s on average, and significantly worse than Mequon’s. And unlike either of its neighbors, each of its schools comes at least somewhat close to reflecting the diversity of America—at least for now. As a parent and a former district teacher, Bob Wells has keen insight into the public schools’ strengths and weaknesses. He taught English at Brown Deer High School for two years during the period when the district flipped to majority-minority enrollment. He now teaches at Homestead High School, located just a few miles away in Mequon. The Wells family: Bob, David, Mary, and Jean, photographed in front of their home in Brown Deer. Homestead, by contrast, is a high-performing academic pressure cooker. Some students spend so much time studying that they often grow sleep-deprived and anxiety-ridden. And there’s an incredible preoccupation with grade-point averages and academic rankings. 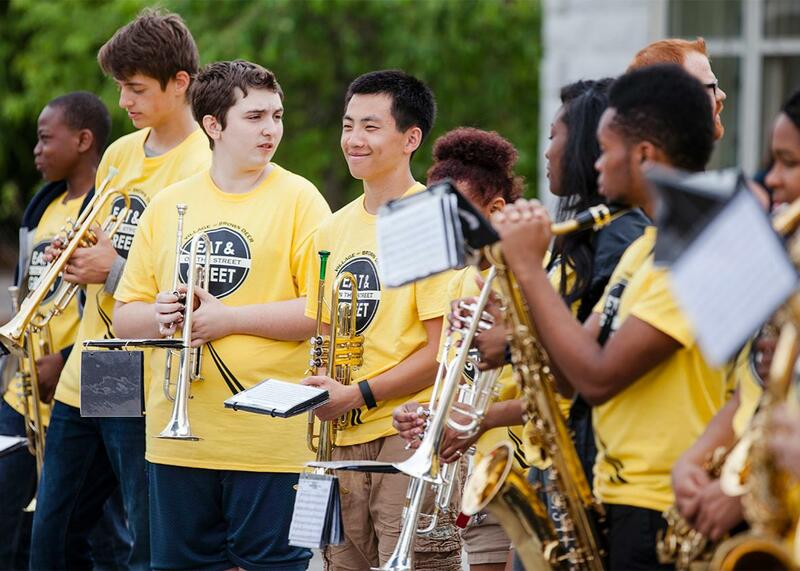 It also offers more academic and enrichment opportunities—more Advanced Placement classes, more technology, more national and even international trips for student organizations like the orchestra. At Homestead, about 7 percent of the students are black, and about 80 percent white. Less than 10 percent are what the state describes as “economically disadvantaged,” compared with 46 percent at Brown Deer Middle/High School. On average, the Homestead students are more academically ambitious, according to Wells. But they also know less about the world around them—and the country’s history of racism—than most kids in Brown Deer. Wells says that when a play called The Ballad of Emmett Till, about the 14-year-old black boy whose lynching helped spark the civil rights movement, opened in Milwaukee, none of his Homestead students had heard of Till. Bob Wells is more conflicted. “We’ll take it one year at a time,” he says. The marching band from Brown Deer High School performs at a festival on Saturday. When Deb Kerr became superintendent of Brown Deer schools nearly a decade ago, the district was still majority white. “I don’t think the board knew how quickly the demographics were changing,” she says. But that growing diversity became one of the defining issues of Kerr’s tenure. In addition to a growing black population, the number of Hmong students has grown. (The Hmong, who come from the Southeast Asian highlands in Laos, Cambodia, and Vietnam, are the largest Asian ethnic group in Wisconsin.) 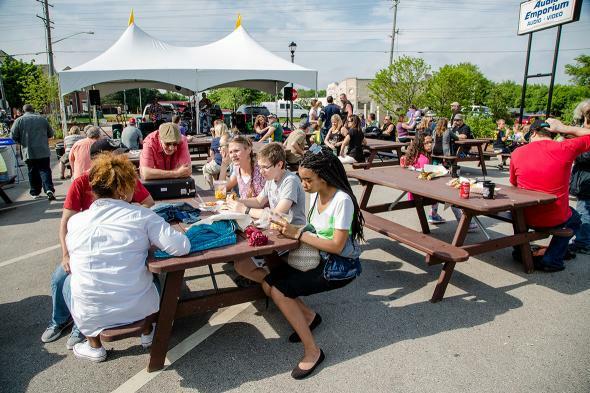 The number of students who qualify for free and reduced lunch has also risen steadily, partly because there’s more subsidized apartment housing available in Brown Deer than in some other Milwaukee suburbs. Kerr, who is white, says she needed to send the message that Brown Deer schools could serve the needs of students of all races, backgrounds, and skill levels through culturally inclusive teaching and by working successfully with kids at all academic levels. “That took us looking at our own biases,” says Emily Koczela, who served as the district’s finance director until this winter. Partly as a result, Brown Deer has had more success at narrowing the so-called achievement gap between black and white students than many of its suburban counterparts. For instance, the town had a narrower ACT score gap between black and white students in 2014 than all but one other Milwaukee County suburb (though there was considerable room for improvement, with black students scoring an average of 17.5 and white students 22.2). Mara Staples (center), a classmate of David Wells, with her parents and the Wells family at a festival on Saturday. But some parents and teachers worry about white students’ disproportionate representation in accelerated programs like the Falcon’s Nest. This is a problem throughout the country, where white students are over-represented in gifted and accelerated classes, a disparity that can exacerbate the racial achievement gap and lead to lower expectations for black and Hispanic students. White families have long justified their fears of being in the minority by claiming that majority black schools are weaker academically, more disruptive, and less safe—a rationalization that reinforces structural racism. There’s plenty of that in evidence throughout the Milwaukee region. But several Brown Deer families say they also know black and mixed-race families who left Brown Deer schools because they wanted a more rigorous academic environment. The reasons for looking elsewhere vary, depending on the family. Emory and Emily’s father, Michael Weeden, had similarly mixed feelings. He worries about a modest rise in “disruptive and disrespectful” behavior in Brown Deer classes. “There has been a change, but it’s not drastic, it’s gradual,” he says. And he questions whether his children, who took mostly sophomore classes as freshmen, will be challenged enough at Brown Deer. But he also worries the twins would have been frustrated by the comparative wealth and privilege of many Homestead students. Larry Kornblum volunteers at his grandson’s school and has long been a dedicated presence in the district. But his family is more unequivocal in its desire to leave the Brown Deer schools someday. He and his wife graduated from the town’s schools in 1976. His two sons went through the system a couple decades later—when the system was far more diverse but still majority white—with the youngest graduating in 2003. Now, his grandson is a sixth-grader, and one of 35 white students in a class of about 110. Amy Kornblum, Larry’s wife, traces the district’s challenges partly to the arrival of increasing numbers of minority students from Milwaukee through Chapter 220 and other programs. “For minority families that grew up here, there wasn’t the culture shock of some of the people who came in from Milwaukee,” she says. The students coming from Milwaukee led to a rise in disrespectful behavior, disruptions at the schools (such as threats or lockdowns), and lower academic standards, according to Kornblum family members. Her two sons, both in their 30s, say most of their friends have moved to other communities to raise their families. One of them, Rob Kindelsperger, whose sixth-grader attends Brown Deer Elementary, plans to buy a house in another community when he can. He says that “Brown Deer seems like it’s turning more into MPS”—Milwaukee Public Schools, that is. Performance trends are difficult to gauge in Wisconsin over the past three years because the state switched standardized assessment tests. But the data show that Brown Deer’s scores dipped slightly between 2010 and 2014 while average ACT scores stayed consistent, at just under the state average. Over that time period, the percentage of low-income students in the district rose; that means the district’s relatively steady performance could be interpreted as something of a victory. 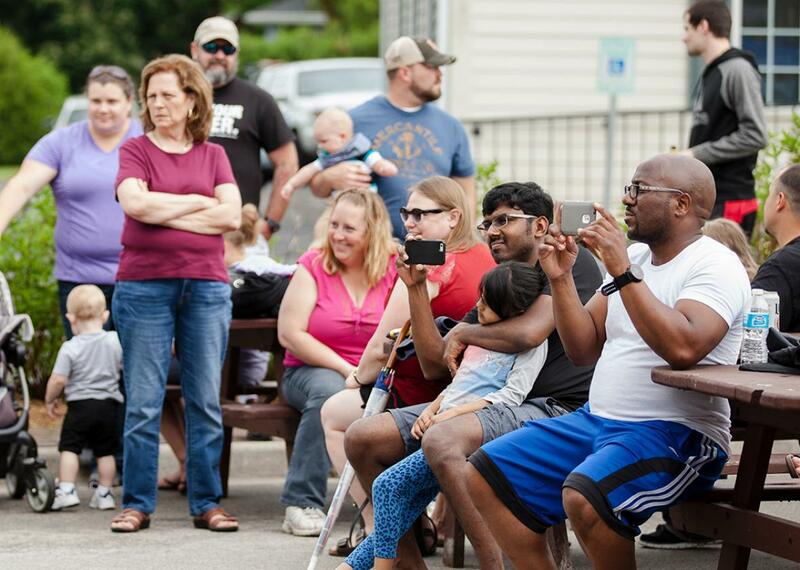 Community members and families watch Brown Deer public school students perform at a festival on Saturday. In the spring, Emory and Emily Weeden reapplied to Homestead through the state’s open enrollment program. This time they got in. The family hadn’t planned on reapplying. But Mike Weeden said a conversation with another Brown Deer parent whose child transferred to Homestead convinced the Weedens to take another shot. For their part, Bob and Jean Wells continue to believe the advantages of Brown Deer outweigh the potential drawbacks: Their son will start his freshman year this fall in his hometown. “He has definitely learned a lot,” says Jean Wells. He’ll stay on his accelerated track and take his first Advanced Placement class, World History, as a freshman. The family knew of no graduating eighth-graders who planned to transfer to other high schools, although some of Mary’s classmates, who will be starting seventh grade in the fall, were considering other school options. “We see people coming and going, but the schools are still very diverse,” says Celeste Cuffie, the mother of senior, Alyssa Cuffie. Brown Deer faces some pretty long odds in maintaining its diversity. In other words, schools can’t do it alone. And as hard as Brown Deer officials work to hire more teachers and administrators of color, to incorporate readings by more diverse authors, to reduce suspensions of black students, to appease families who want a more accelerated curriculum—to make it clear that all are welcome and wanted in Brown Deer schools—it likely won’t be enough on its own. To give diverse suburban schools like Brown Deer better odds in the long run, policies beyond education have to change—including housing policies that lead to the concentration of subsidized apartment units in certain suburban communities, often causing the rapid departure of middle- and upper-income families. And mindsets have to change as well—including, as Jim Piatt puts it, some white peoples’ reluctance to be in the minority. With America’s demographics likely to reflect those of the Brown Deer school district within the next two generations, we should all be rooting for this small suburb. We should all be hoping it defies the long tradition of de facto and de jure segregation in this country and forges a sustainable new path that keeps its schools integrated. Tomorrow’s Test is a weeklong series looking at the challenges, tensions, and opportunities as the United States shifts to a majority-minority student population in its public schools—a milestone the country as a whole will reach within the next generation. It is a collaboration with the Teacher Project at Columbia Journalism School, a nonprofit education reporting fellowship. Read more from Tomorrow’s Test.